Patrick says: Slashing programs that help families in need will not take away or fix the circumstances that have led folks to this point. In Maine, more than one in five children lives in poverty. That’s the highest poverty rate in all of New England. What does it mean to be a poor kid in Maine? It probably means that at some point every day you are hungry and can’t get enough food to fill your belly. You may go to bed, and wake up every morning, cold because your parents can’t afford to heat your house. In fact, you may not have a bed, or a bed of your own, or even a room to call your own. You don’t know what it means to go “school shopping” because the clothes you wear are handed down. And you probably carry the very-adult burden of knowing that there’s not enough gas in your parent’s car to get you to your friend’s house across town or, to your weekend baseball game. Sadly, that’s the every day reality for too many Maine kids. Good Morning. This is State Senator John Patrick of Rumford. Most of us agree that kids do not choose to be born in to poverty. Most of us would also agree that we all have a stake in making sure kids are well-fed, healthy, and safe. And the people who want that more than anyone for these kids are their parents. Who among us doesn’t want to make sure our kids are provided every opportunity to succeed? Most of the parents of poor kids, are doing the best that they can –often working more than one job—they’re doing all that they can to try and make ends meet and do right by their family. The reality is more Maine people are struggling. Yet, at nearly every turn, Governor LePage pulls the rug out from under struggling families instead of offering a hand up. Governor LePage continues to turn up the rhetoric against struggling families trying to get on their feet again. At every opportunity, he uses language vilifying the people who don’t have it as good as him now. More people have lost their homes than have found jobs, thanks to Governor LePage. Slashing programs that help families in need will not take away or fix the circumstances that have led folks to this point. Most people don’t choose to be poor. For the Mainers who aren’t poor—many of us are a paycheck or two away from missing a rent or mortgage payment. Many of us are fighting to stay in the middle class, let alone climb in to it. As lawmakers, we need to be making investments in people. The best pathway out of poverty is the opportunity that comes with a strong economy. That means investing in our people, places and things, our schools, health care, and increasing opportunity so that people can secure good paying jobs. So, let’s make a change for those one in five children so that they too can climb the ladder of opportunity for a better a life. Thank you for listening. 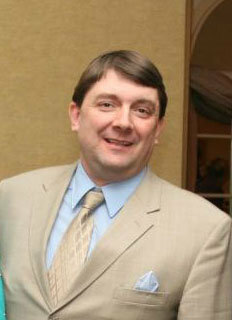 This is State Senator John Patrick of Rumford. Have a great weekend. Good Morning. This is Senate Majority Leader, Troy Jackson of Allagash. There are some things worth debating, like taxes and budgets. But lately, there has been one issue that some, including Governor LePage, have decided to turn in to a political football—expanding health care to more Maine people. Right now, Maine has an opportunity to at no cost, expand health care to tens of thousands of hard working Mainers, including 3,000 veterans. If Maine does not accept this offer to expand health care, then people will go without and the deal will be lost. With people’s lives on the line, we should not be debating whether or not it’s the right thing to do. The answer is clear. To me, and to many of my colleagues, making sure that you can go to the doctor—that you can afford the doctor’s visit when you are sick, is not debatable. It’s a basic right— one that ensures a healthier and a longer life and for folks to keep working to provide for their families. Earlier this week, my Democratic colleagues called on the governor to stop making excuses to deny and delay health care. We called on him to look beyond his rhetoric and join all the other Republican Governors who put aside partisanship and political games to accept federal dollars and expand health care for the people in their state. Instead, this week, Governor LePage doubled down on his deny and delay tactics and spread misinformation about the Mainers who need healthcare. Worse, his tactics attempt to pit Mainers against each other by vilifying people who have no other choice but to turn to Medicaid or Medicare for their health care. The Mainers who don’t have health insurance, and could benefit from expanding health care, look like you and me. In fact, if I weren’t in the legislature, I wouldn’t have health insurance because as a logger from Allagash, I can’t afford it. My friend Ryan Kelly was also a logger from Allagash, and he didn’t have health insurance. He did have a heart condition that he couldn’t get treatment for— and he died at the age of 26, leaving behind a four year old daughter. I, too have a heart condition— one that is very similar to the one my friend Ryan had. But because I have health insurance, I can afford to get the care I need— and I’m alive. I can’t help thinking that’s the reason that I’m still here today— I have health insurance. We should be throwing people like Ryan a line, not pulling up the ladder behind us. Health care is a right and no one should be left behind. So why does Governor LePage think that he and the government can choose who deserves health care and who doesn’t? He has health insurance. Perhaps it’s easy to judge when you have something that others do not. He doesn’t think that if you drink or smoke you deserve health insurance so you can see a doctor. What about if you wear glasses? Or have a pre-existing condition? Where do you draw the line— and who is he to be the judge and jury on people’s lives. In January, there are 25,000 people— that’s more than the entire population of Auburn— who currently have Medicaid and will lose their health care because of the governor’s decision. I wonder what he’ll say to them? How he, a man with health insurance, will tell 25,000 Mainers they’re not worth it? Well, I can tell you that I don’t believe I or anyone else has the right to deny health care to others just because they are sick. I don’t want to live in a state where we turn our back on those in need. In January, when the Legislature reconvenes we will continue fighting so that every family has a family doctor. And it is time for the governor to stop the excuses, stop dividing our state, and join what doctors, hospitals, businesses, and Mainers know: Expanding health care to more Maine people is the right economic and moral thing to do. Thank you for listening. This is Senate Majority Leader Troy Jackson of Allagash. Have a great weekend. Charles Colgan, economist and professor at the University of Southern Maine Muskie School of Public Service, addresses the panel. 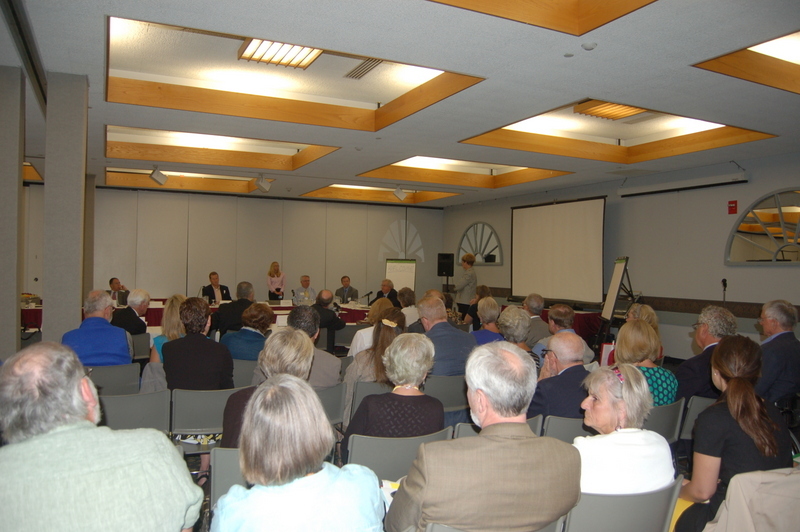 Today Speaker of the House Mark Eves (D-N Berwick) met at the Augusta Civic Center with more than 60 representatives of business, health care, education and workforce fields, state agencies and local municipal officers in the first of four scheduled discussion panels targeting Maine’s aging population and many of the challenges facing the state. Maine is the oldest state in the nation and its older population is growing rapidly, with the most recent US census data showing more than 20% of the state’s population is 60 or older. By 2030, it is estimated that one in four Mainers will be over the age of 65 and from 1990-2009, people age 85 and older grew by 58 percent. This rapid aging of Maine’s population and its impact on our economy, care giving, employers, along with the shrinking younger workforce will be among the focuses of the panel discussions. Among the goals of the Speaker’s Round Table on Aging in Maine is the beginning of crafting comprehensive strategies to address these challenges and opportunities. “The rapid aging of Maine’s population has an impact on our economy, public health, caregivers, employers, and our workforce. 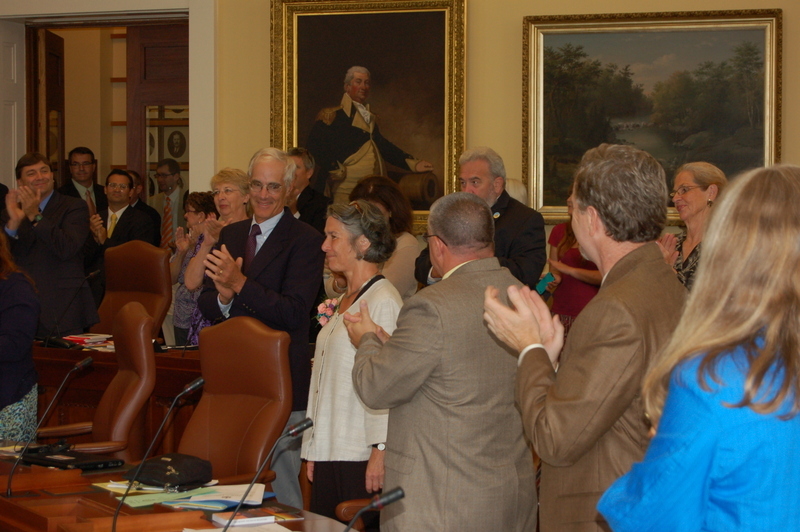 Addressing the impacts of Maine’s aging population is a policy imperative. Whether you are among the aging population increasingly needing health care or a family member caring for a parent or an employer looking at a retiring workforce, Maine’s shifting demographics will impact all of us. We must look at these challenges and shift the conversation away from simply how to manage long term care. Colgan, who is regarded as one of the state’s most experienced economists, estimates that in addition to keeping Mainers from moving away, the state must attract at least 3,000 new residents a year for the next 20 years in order to sustain the state’s workforce. The speaker took a few moments to meet with the media for a quick question and answer session; video below. The Speaker’s Round Table on Aging in Maine is sponsored in partnership with Maine Council on Aging and the John T. Gorman Foundation. The next meeting will be held on Oct. 1. One day after winning the Maine Senate District 19 special election last week, Democrat Eloise Vitelli of Arrowsic was sworn into office by Governor Paul LePage and seated with her colleagues. 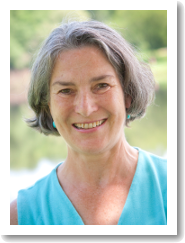 Vitelli is Director of Program and Policy at Women, Work and Community where she has spent her career assisting small businesses, creating a statewide job training program that has assisted more than 3,000 entrepreneurs and helped unemployed Mainers start successful businesses. Senator Vitelli also currently serves on the Maine Economic Growth Council. “I am honored to be serving the people of Sagadahoc County and Dresden,” said Senator Vitelli. “I am greatly committed to standing up for the needs and concerns of the people in our community, including how we can all work together to strengthen our state. As a state senator, I look forward to continuing my work of helping workers and growing businesses,” she added. Then came the special session’s true business of voting on the bond bills that eventually passed both chambers and will go before voters this November. 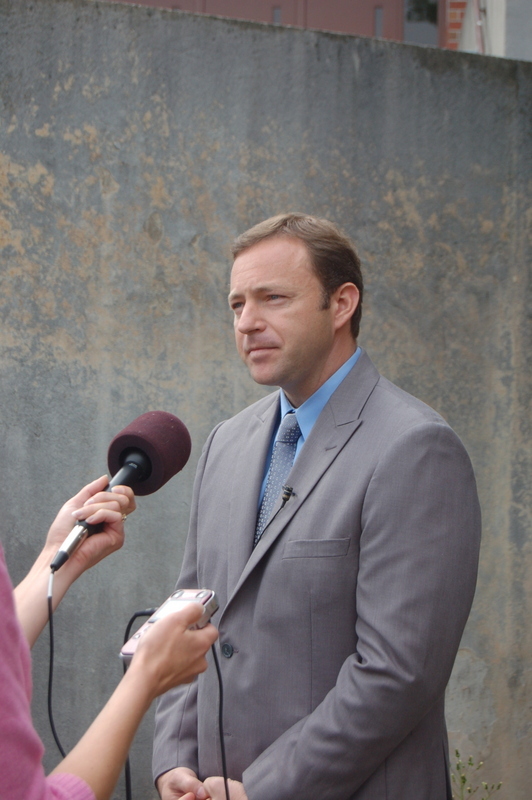 On Saurday, Senator Vitelli delivered the weekly Democratic radio address: “Maine workers drive our economy, fuel our businesses, and grow the middle class” (Audio link). Good Morning. This is newly-elected State Senator Eloise Vitelli of Arrowsic. It’s Labor Day weekend. A time when our country takes pause to offer homage to the American worker. It’s a holiday that dates back more than a hundred years—and, it was borne out of an economic time very similar to the one we’ve experienced the last several years with the Great Recession. But there is no doubt, in a hundred years, we have made strides for the American worker. Workplaces are safer. Teen workers are protected. And even though we must do more, there is a minimum wage. But there are other differences. Today, more than ever before, there are more women in the workforce—nearly fifty percent of the American workforce are women. Women are a growing number of breadwinners for their families. And, in many cases, women out number men at our colleges and universities—and, are going on to get advanced degrees. Nationally, women own more than thirty percent of all small businesses. Our role, as women in the workplace, is central to the national economy—and, to the Maine economy. For me, sharing this, is about more than just economic and workforce trends. It’s been personal. For more than thirty years, through my work at Women, Work and Community, I have assisted Maine workers and small businesses. I started a statewide training program, that has helped more than three-thousand people—men and women—start successful businesses. For example, Lisa from Palmyra started Oats Anytime, a gluten-free product she sells nationwide; it was featured at a Taste of Maine event hosted by Senator Susan Collins in Washington this Spring. I am proud of these accomplishments, and know, that it is exactly this entrepreneurial spirit and determination to succeed that is seminal to the Maine work ethic. And better yet, the reputation of the Maine worker is nationally known as being second-to-none. As so as we look to what is needed to grow our state’s economy, to put more people back to work, and ensure that hard working Mainers earn what is fair, we must look at how to capitalize on the spirit of Maine workers by training them for the jobs of today and preparing them for the jobs of tomorrow. Earlier this week, I along with my Senate and House colleagues, took one step closer toward achieving that goal by passing a $149.5 million bond package that includes investments in many things like our state’s infrastructure and higher education facilities. We all agree that critical investments are needed for our roads and bridges, ports and rail. Ask any Maine driver and they’ll tell of the potholes and torn up roads we all have to travel on to get from “here to there”. This bond package addresses those concerns by investing $100 million in transportation issues. The good news, is that this will be a boost to our construction workers in the short-and long-term. We also invested $35.5 million in science, technology, engineering and math facilities at every campus of the University of Maine and Maine Community College systems and the Maine Maritime Academy. Prioritizing these so-called STEM programs and facilities ensures that Maine can train students and workers in high-demand, high-wage jobs, and, compete—perhaps even out-innovate and out-educate other states. In looking ahead, I am hopeful that beyond making these long overdue upgrades and investments in our college and university classrooms and science labs, that we realize we also need to invest in the people who learn and train in these facilities. We need to do more to encourage innovation—whether it’s through research and development or encouraging more STEM training. Ultimately, it is our people, our workers who drive our economy. It is our workers who fuel our businesses. It is our workers who build and grow the middle class. On this Labor Day weekend, let’s reflect not only on the work that we do, and the labor of our predecessors, but let’s look ahead to the future and think about all the possibility that remains in building the legacy of the Maine worker and the American worker. This is State Senator Eloise Vitelli. I thank you for listening. And have a good holiday weekend.